Fishing at Lake Garda. Discover Lake Garda! Lake Garda is the largest lake in Italy, and in its depths, there are a variety of different fish species which are on the menu in many local restaurants and trattorias. However, passionate anglers know that a fish caught by yourself tastes even better! 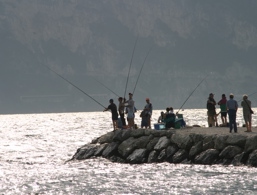 Sports fishing is prevalent and widespread on Lake Garda. It's due to the diversity of fish in Lake Garda and the lakes, rivers and streams of the area. Many trout live in the nearby Lake Toblino and in the river Sarca, anglers can find great char. The most commonly fished species of fish on Lake Garda, is the trout, closely followed by the whitefish or vendace, the alborella or aola, the eel, the tench, the chub or the perch. A true rarity, however, is the carpione (also called Lake Garda trout), because it lives exclusively in Lake Garda. Anyone who loves fishing knows that you must observe specific rules and regulations. 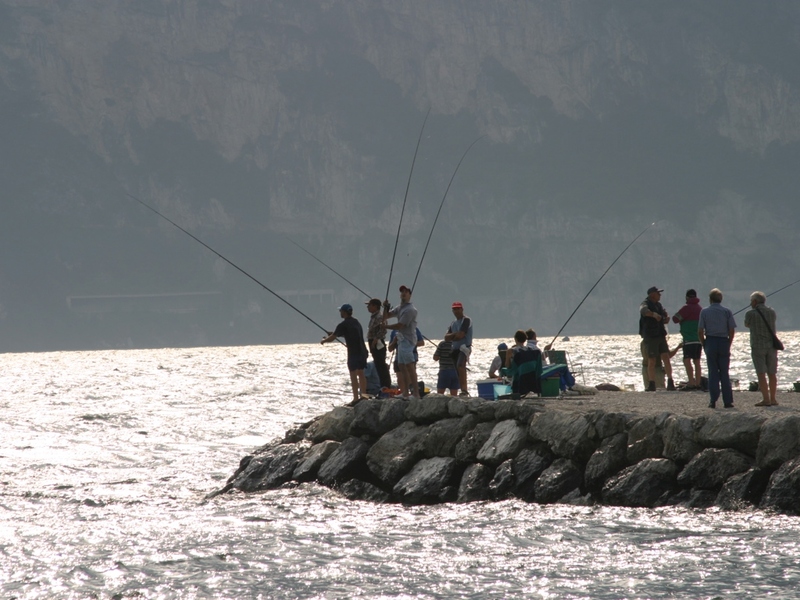 To fish in the public waters of Lake Garda, you must be in possession of a license. 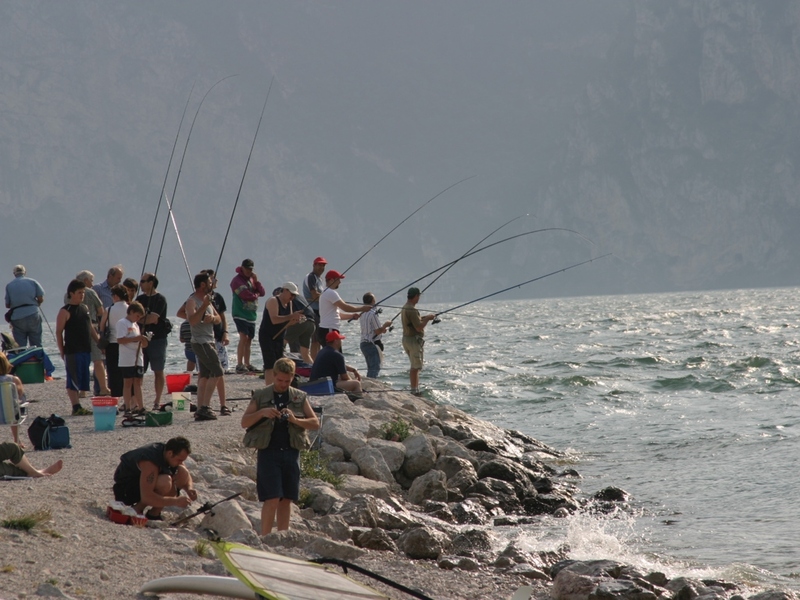 At Lake Garda, there is a special fishing license for tourists, which is valid for 30 consecutive days and is given to each angler only once a year. 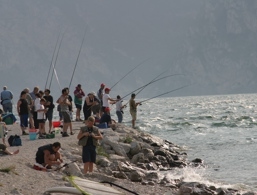 The permit can be applied for via the website www.trentinofishing.com or in the municipalities and allows holidaymakers to fish in Lake Garda in compliance with the applicable rules. In some of the smaller lakes near Lake Garda, such as Lake Bagattoli near Dro in the province of Trentino, you can fish without a license, and you can rent the equipment if required. You can fish on Lake Garda for most of the year, except for certain fixed periods when it's forbidden to catch some species of fish. Fishing is also prohibited between one hour after sunset and one hour before dawn. There are also rules on the minimum length and amount of fish caught. Other regulations restrict the use of specific tools and equipment. 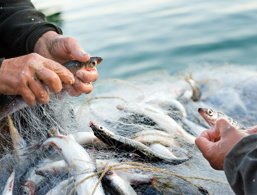 As regulations vary from place to place, it is advisable to inquire about rules in selected waters before fishing to avoid unpleasant incidents and penalties.